Jumping the gun in reacting to consumer trends or simply trying to appease every client is NOT good marketing. You must first understand who it is your product best serves, then place it before them in a way that makes the react. Once you achieve this minor goal can you then initiate the sale. Everyone thinks that advertising and product awareness are the key to sales. They are meaningless. The sale takes place in spite of awareness or exposure. Get with the program. 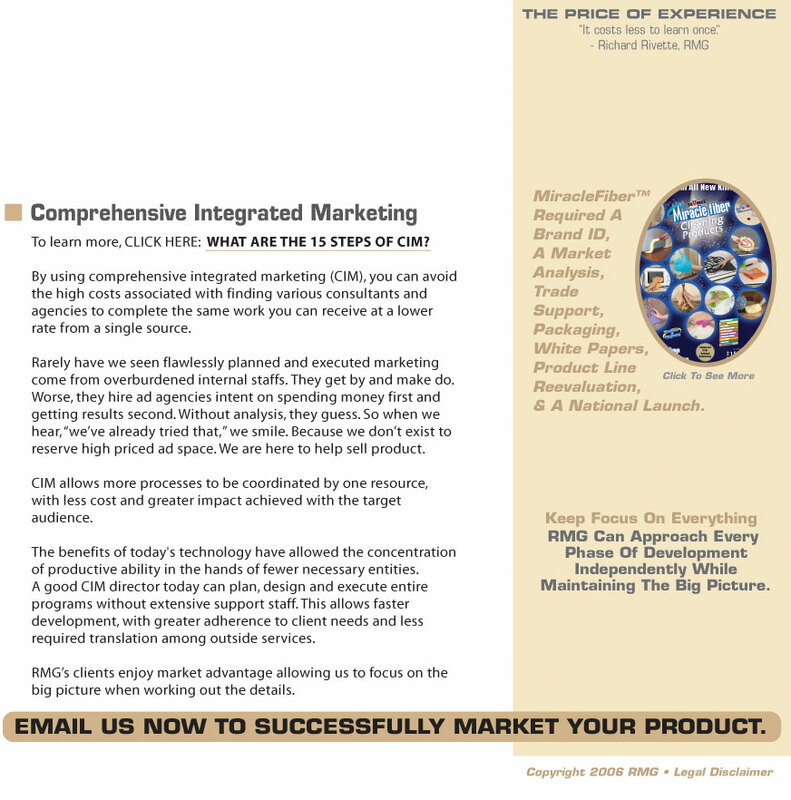 Call Rivette Marketing Group today and learn how solid marketing support can propel your sales forward.